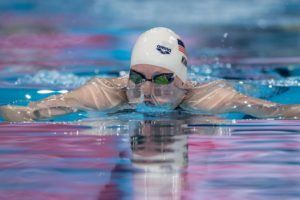 Lilly King ripped a 56.17 breaststroke split during an epic 400 medley relay on the second night of the 2017 NCAA championships. The Standford Cardinal set a new American Record in the 200 free relay tonight during the second day of the 2017 NCAA Swimming Championships. UNC Tar Heel Hellen Moffitt hit what is believed to be the third-fastest 50 fly split in history, going 22.29 on the North Carolina relay at the ACC Championships. 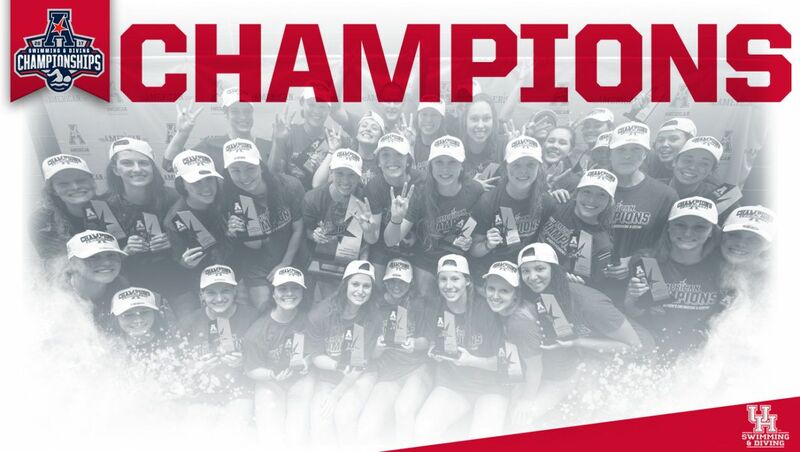 Just 2 years after placing last at the conference meet, new Head Coach Ryan Wochomurka has led the Houston Cougars to their 1st American Athletic Conference title in program history. The Cougars led the team standings with 772 points, beating 2016 champion SMU (676) by 96 points. They had 3 individual champions: Freshman Laura Laderoute (200 IM), freshman Peyton Kondis (100 breast), and junior Micaela Bouter (3-meter). In addition, they set 9 school records. Needless to say, the Cougars’ improvement has been astounding. So what’s been the biggest change in the program since Wochomurka stepped on deck? With a conference championship under their belt, Coach Wochomurka and the Cougars will strive to reach greater relevance on the national stage. Moving forward, they’ll work towards this goal by living what Coach Wochomurka calls the “championship lifestyle.” Houston is certainly one of the up-and-coming programs to watch in the coming years. Read on for the full trascript of SwimSwam’s interview with Coach Wochomurka. 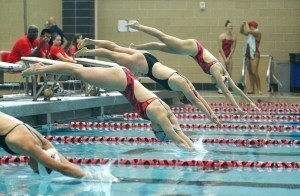 SWIMSWAM: What’s the biggest change you’ve seen in your 2 years at Houston? COACH WOCHOMURKA: Belief. Wholesale belief from our Coaching Staff, Support Staff, our Student-Athletes and perhaps most importantly our Athletic Director and Administration. Belief in the Vision that we can build and sustain an elite level Aquatics Program that is competitive on the Conference, National, and International levels here at the University of Houston. It’s a slow and sometimes painful process to share that vision to anyone that will listen (recruits, club coaches, alumni, colleagues), but slowly you see people buy into that thought process of “why not? , why not us?, why not here?” If you dig deep and look at what this place has to offer there is no reason we can’t begin to seriously and fervently chase that Vision. We have an incredible academic institution, situated in the fastest growing, most diverse city with the best job market in the country. On top of that we have a world class facility, and an Athletic Department that supports our Student-Athletes at the highest level possible. Our Athletic Director, Hunter Yurachek, jumped into the pool with us to celebrate our win on Saturday. I can’t think of anywhere else where that would happen! SWIMSWAM: How does this win impact your confidence? COACH WOCHOMURKA: I think it begins to help solidify for our kids the trust in the process. Anyone who has pursued this sport for long enough knows the success, however you define that, is not a simple equation. It’s not A+B=C. Just because you work hard, or make this sacrifice, or do this thing, does not guarantee you a lifetime best, or Conference Championship, or NCAA qualifying time. Doing those things certainly improves the chances of “success” happening, but really beginning to trust the process, and living what we call a “Championship Lifestyle” is what really begins to move the needle. I think as a program we are beginning to understand what that means. To me that’s the big win for us this year; beginning to understand that “winning” or “success” is a lifestyle, a choice, a daily process. 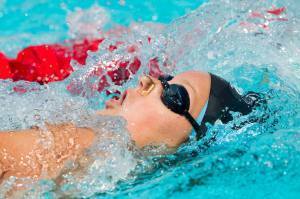 SWIMSWAM: How do you think this will affect the development of the program and recruiting? COACH WOCHOMURKA: Certainly we are hopeful that exposure and a winning mentality helps us in reaching out to kids that might not have thought of, or considered the University of Houston two years ago, but I don’t think this really changes the approach for us in terms of Recruiting or Program Development. When we talk to Potential Student-Athletes we simply share our Vision and Core Values. We give them an honest look at who we are, what we are pursuing, and how we intend to get there as a program, and how we can help them achieve their individual Athletic, Professional, and Personal ambitions. Simply put we are looking for “Our People”. People that are excited for and share our vision for the University of Houston Swimming & Diving program, and are eager to share, and partner with us as a coaching staff in the pursuit of that vision. SWIMSWAM: What are some of your goals for the program going forward? COACH WOCHOMURKA: Our overriding goal is to keep chasing our long-term vision. This year we have proven that we can be competitive at the Conference level. The next phase is chase some relevancy at the National Level. 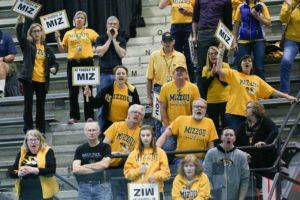 We have a few kids headed to a Last Chance Meet this weekend to see if we can’t get a swimmer to NCAAs for the first time in 8 years. I’m hopeful we can get there, but we may not. Our biggest goal right now is to continue trusting the process, keep working on living a “Championship Lifestyle”, and try to just get a little better every day. If we can simply do those things I am excited to see how our improvement curve can sharpen in the coming years. Probably a good old “Congrats Coach and girls” would have been more appropriate on this thread instead of your negative, sarcastic rant about who knows what since much of it is misspelled and hard to follow. As a parent of a sophomore on this incredible Houston Cougars team, I choose to show the program the respect and good tiding the program has deservedly earned. Gret article. 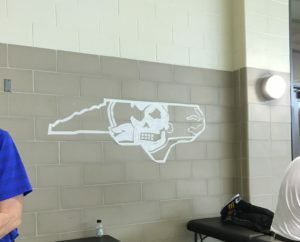 Swimswam should interview James Winchester at George Washington – they just claimed their first ever A10 Championship, and will be heading back to NCAAs for the second year in a row, and also followed a similar bottom to the top story. Two good young coaches who are destined for big things! Our Cougar girls and their incredible coaches were nothing short of inspiring! Stronger together! …and thanks Lauren for the great article 🙂 you make this BSS Momma proud also.